Stylish and unique, this set of three shelves is sure to add modern appeal to your home. 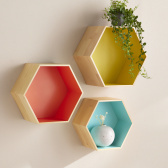 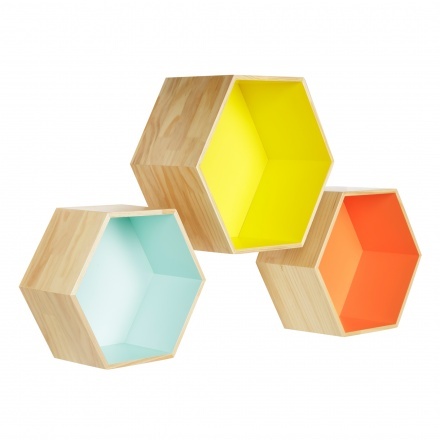 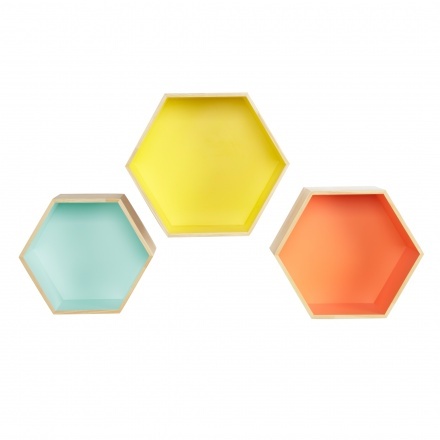 They feature a hexagonal shape with a bright eye-catching interior. 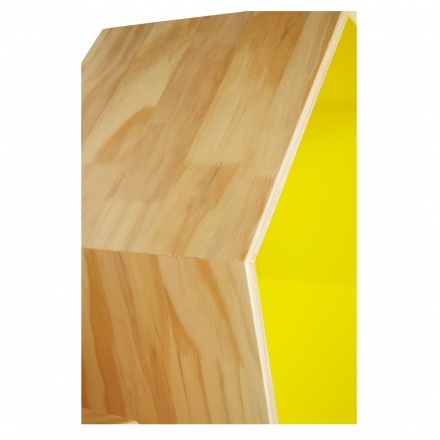 They can be wall-mounted and exhibit a sturdy and durable design making it apt for your living room or bedroom.